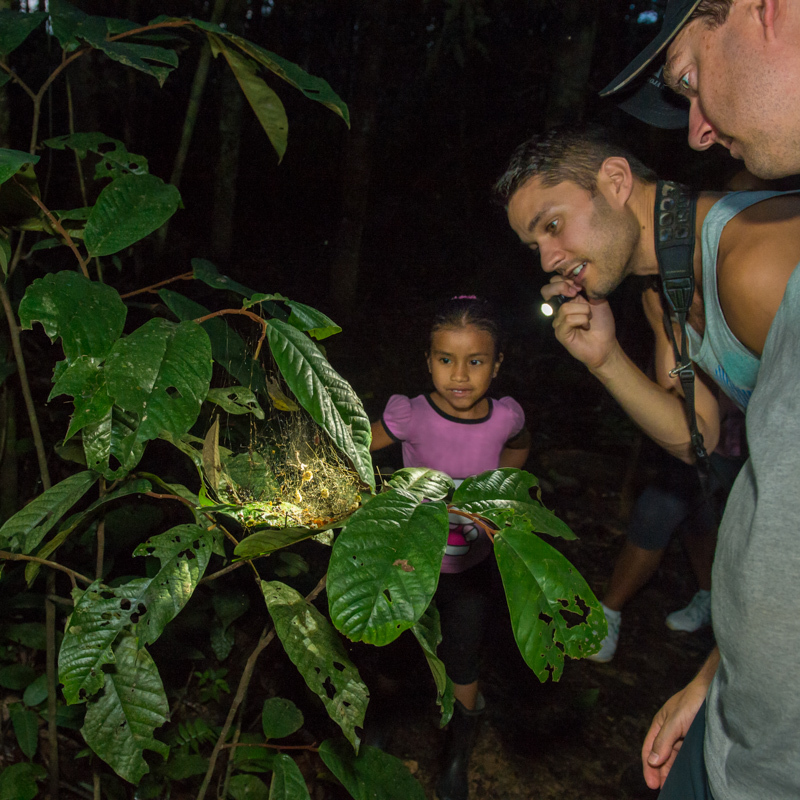 We went out with Jeff, Phil, and Mariana for a night visit to the rainforest. When Jeff said, “Whoa, leaf cutter ants!” I couldn’t tell at first, what was going on. Mariana knew, and she pointed down. I realized that the small green pieces of leaves were moving! Ants were scurrying across our path carrying pieces of leaves much larger than they were! “You’d think they eat these leaves, right?” asked Phil, “but they don’t." He explained that they put the leaves away and wait for a special fungus to grow on the leaves. That fungus is their food.